The Democrats have just announced startling, even shocking, new revelations that are sure to scupper any chances Kavanaugh can be confirmed to the Supreme Court! The claim: At some time undetermined, at some location unidentified, and not witnessed by anyone, but twue because they are saying it: Brett Kavanaugh left the toilet seat up. - Speculation has already begun that this incident may not be the only one, and that it may even be related to his admitted fondness for drinking beer. In uncharacteristic 'lockstep' every Senator of Dubious...er, Democrat persuasion has called for an immediate and never-ending, in-depth, FBI investigation ad nauseum of what they term "a very serious matter." - Throwing their personal, professional, and public credibility behind this allegation, Presidential candidate hopefuls Senators Booker (D), Harris (D) and Flake (D) helpfully offered that 'they sit to pee.' Vice DNC Chair Keith X. Ellison joined them with his own "me too" statement. 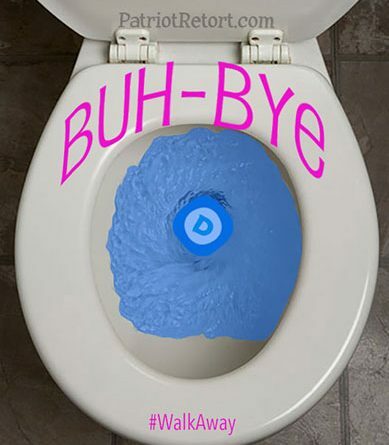 If you do not VOTE in five weeks to close the toilet lid on the Democrats, then you deserve everything they have already said they intend to do to you.